…which build resilience and social inclusion in diverse and ‘non-traditional’ cricket communities. …networking, fundraising and supporting community cricket initiatives. …and the ever enthralling balance of runs, wickets & time. Credo is the name of Urban Seed’s café in the heart of Melbourne where an open lunch is served to all comers including many who struggle with homelessness and disadvantage. Credo Cricket takes the values that have shaped this space and applies them to cricket. Credo Cricket began in parks and laneways around Melbourne in just such a way in 2001. People would meet “down the nets” after Credo lunches as a way of building relationships and physically beating some of the pressures of depression and addiction which followed the then publicised “heroin crisis”. The cricket match on the banks of the Yarra River during the Credo Christmas BBQ became legendary and so in the January of 2002 we entered our first team in the Reclink Australia’s Super 8’s Competition. In that first season we won the A Grade Premiership in a thrilling last over victory final on the hallowed MCG. In 2003 at the eve of the Iraq War we repeated the feat at the Junction Oval (in retrospect perhaps they should have sent “Waugh not War” as our victory banner proclaimed!) The Super 8’s continues to be a great time over Jan/Feb each year. In 2005 we partnered with St Marks Community Centre in Reclink’s 25 over-a-side, Clem Brigg’s Jnr Memorial Cup which runs through October till December. With their close links at St. Mary’s House of Welcome in Fitzroy we formed a merged team known as the Credo/St Marks Lions. Once again we triumphed in our first season with a thrilling A-Grade final win against a team from St Kilda’s Sacred Heart Mission. St Marks and Sacred Heart were both foundation members of Reclink cricket in 1995 and in recognition we now play a match each season for the Peter Ryan Cup. Since 2005 we have played a number of games (Indoor, Outdoor and Street) against teams comprised of our corporate supporters such as Price Waterhouse Coopers, Clayton Utz, Middletons and Goldman Sachs JBWere. This not only gives our regular team a workout, but brings different people together in a fun environment. Since this time we have also been building closer links with the Barkly Street Uniting Church Cricket Club with some of our players joining the iconic local Footscray club. This has improved the cricketing ability and broadened the social circles of a number of Credo Cricketers beyond the “welfare recreation” scene and added to the diversity of the local club. 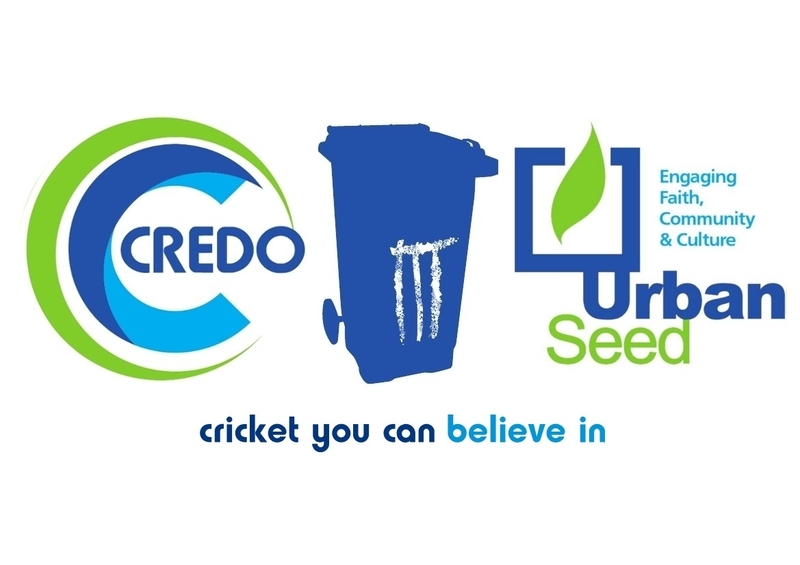 In 2007, seeking to extend the important role Credo Cricket was playing in peoples lives through the winter months, we entered an Action 6 a side indoor cricket team in the Action Indoor Cricket Centre competition in Maribyrnong/ Footscray. Over the season more than 30 players participated, including many newly arrived Indian students. Although we only won a handful of games, two were thrillers against much stronger opposition. In 2008, supported by an innovation grant from Cricket Australia/Victoria Credo Cricket inaugurated the first ever Melbourne Laneway Cricket Carnival. The event formed teams representative of corporate and welfare organizations and was held in some of Melbourne’s iconic laneways. Combining a unique blend of indoor and backyard rules the Grand Final took us back to where it all began, in Baptist Place at the rear of Credo Café. It was heralded a successful community building event by participants, city councilors and by many a startled passerby. In the future we are keen to keep playing as much cricket as possible and to welcome all comers in the spirit of Credo. We are committed to run a weekly cricket program in order to provide a reliable sense of community for those whose lives are in crisis or transition. In broader circles, the cultural currency of cricket enables us to further build our links with our corporate partners, local cricket clubs, welfare bodies, cultural groups and cricket authorities. We look forward to deepening our relationships with like minded groups committed to ‘cricket you can believe in’ such as Reclink Australia; Samoan ‘Killikiti’ friends via Praxis NZ; the “Homies and the Popz” Compton Cricket Club from South Central LA; and Cricket for Change who run fantastic street cricket events in the housing estates of the UK. In a ‘higher, faster, stronger ‘ world where we often passively consume highlight packages of the ‘unbelievable’ feats of the sporting elite, Credo Cricket bears witness to the vital importance of the ordinary and the believable. A reminder that in essence cricket remains a ‘funny game’, which will always belong on ‘the commons’. A great leveler, with laws and boundaries fluid enough to include and re-create many, and reveal much about what is true in ourselves and in our world. The Credo Cricket story continues… pad up, you’re in! , I’d figured I’d ask. Would you be interested in exchanging links or maybe guest writing a blog article or vice-versa? Humm êtes vou sûr de ce que voսs nous ɗites ?? Нummm êtes vous certain de ce ԛue vous nous Ԁites ?